The time to toss your old cookware has come. Introducing the pan that can do it all. 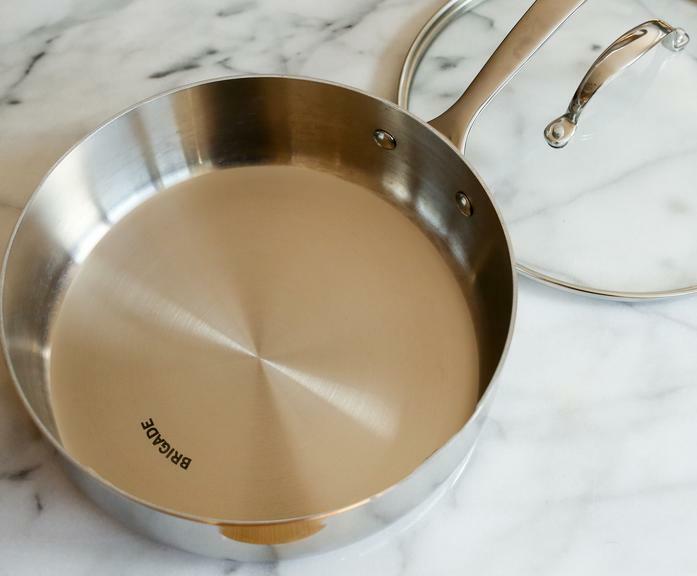 Whether you are prepping lunch for the week or trying to impress a date - The Brigade Kitchen Sauté Pan is the tool you need.